Set on the eve of America's involvement in World War II, The Houseguest examines a little-known aspect of the war and highlights the network of organizations seeking to help Jews abroad, just as masses of people seeking to escape Europe are turned away from American shores. It moves seamlessly from the Yiddish theaters of Second Avenue to the junkyards of Utica to the covert world of political activists, Jewish immigrants, and the stars and discontents of New York's Yiddish stage. Ultimately, The Houseguest is a moving story about identity, family, and the decisions that define who we will become. 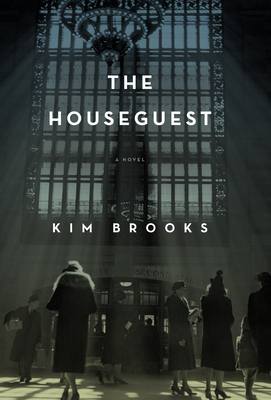 Kim Brooks is a graduate of the Iowa Writers Workshop, where she was a Teaching-Writing Fellow. She has earned fellowships from the Michener-Copernicus Foundation, the Corporation of Yaddo, and the Posen Foundation. Her fiction has appeared in "Glimmer Train," "One Story," "The Missouri Review" and other journals, and her essays have appeared in "Salon," Buzzfeed and "New York" Magazine. Her memoir "Small Animals" (Flatiron/Macmillan) will be published in 2017. She is the personal essays editor at "Salon" and lives in Chicago with her family.